Louisiana state capitol in Baton Rouge. BATON ROUGE, La. 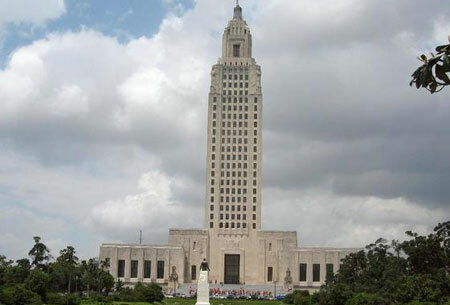 — Louisiana lawmakers have rejected a bill that would have prohibited housing discrimination based on sexual orientation or gender identity. The House Commerce Committee voted 13-5 Monday against the measure, which was the first in a package of gay rights bills proposed for consideration this session. The bill would have added sexual orientation, gender identity, gender expression and marital status to the Louisiana Equal Housing Opportunity Act’s list of factors that property owners cannot use to turn people away for housing. New Orleans Rep. Jared Brossett, sponsor of the bill, says New Orleans and Shreveport have similar ordinances governing housing. But he ran into opposition from some religious leaders. Tommy Middleton, director of the Baptist Association of Greater Baton Rouge, opposed the proposal as creating a special status for gay people.